Content article marketing is one of the oldest and most proven strategies online marketers use. Done right, it helps brands of all sizes and in every industry acquire new website visitors and increase their sales. It’s an easy and highly effective way to attract a wider online audience. Content marketing success is measured by increased traffic and conversions. An added benefit is a boost in the brand’s reputation as an expert in its specific industry. Articles are not limited to online newspapers and magazines. They’re used on blogs and websites, as press releases, and even in videos. One of the reasons articles work so well is that they contain the content search engines are looking for when ranking sites. Whatever product or service you're writing about, articles can be a great addition to your content strategy. Well-written articles full of valuable content build trust and generate leads. A well-written article is only as good as the success it generates. For article writers, that means the piece must not only explain the benefits of a product or service, but provide the information a reader is looking for – in other words, it must attract readers. While the days of writing a one-off ezine article stuffed with keywords are long gone, article marketing is far from over. Use these five article marketing tips to make sure you’re using this strategy to your best advantage. Every article you write contains content that serves a specific purpose. Whether you’re promoting a product or a service, zero in on one or two main topics that relate to them. Avoid filling the piece with opinion. Instead, focus on how it can be useful and solve the reader’s problem. You may be writing about the virtues of a product or service that’s similar to what the competition offers but work to give it a new spin. How does your product stand out from the rest? What does your service offer that your competitors do not? Find an angle that no one else has taken and run with it. Include as least one link in each article; two is better. Your keywords should be you anchor text in at least one of the links, and it’s recommended that one link appear in the first paragraph. Backlinks should guide readers to either the home page or a dedicated landing page. Some article submission sites do not allow linking to “sales” pages, so check to make sure you are meeting their requirements. You may be writing with an eye towards SEO and rankings but remember that humans with real problems are reading your articles. Draw people in by using strong opening lines that address the problem and solution the reader has come looking for. 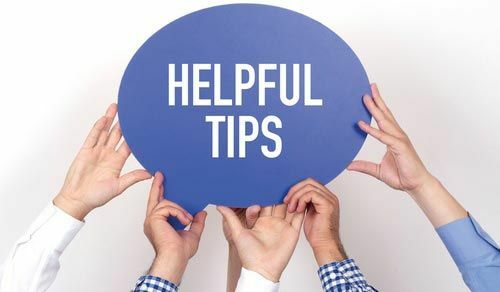 It’ll also help you narrow the focus of your article (see tip #1) and immediately let the reader know they’ve found the information they need. Use the rest of the article to offer advice, instruction, and other pertinent information. The writing should flow easily so the reader does not abandon the article halfway through. Every article should be on the brand’s website, but it’s a good idea to publish on other sites as well. Where to publish? Wherever your audience is! Do your research and determine which sites potential customers most visit. This will also help you gain more visitors and let the search engines know what your site is about. Finally, as opposed to blog posts, don’t worry about lengthy summary paragraphs for articles. Either end the article with your last bit of information or advice or simply repeat your main thought from the opening. Using these article marketing tips and tricks in your article marketing strategy will help you create value-packed content that spreads a brand’s message and builds trust with new and established customers. If you need help actually implementing these tips into a comprehensive content marketing strategy, check out our white paper, "What is a Digital Content Strategy? And Why You Need One!"